President Benigno III’s had an impromptu press conference with members of the local media at the sidelines of the recently-concluded Asia-Pacific Economic Cooperation summit in Vladivostok, Russia last September 8. During the exchange, it is apparent that Aquino is not in any way throwing Rico E. Puno, his shooting buddy and (outgoing) interior and local government undersecretary for peace and order, under the bus. An incomplete transcript of the press con has been posted in the government website. Veteran journalist Raissa Robles posted a more complete transcript in her blog. Asked by a reporter how involved Puno is in the department’s procurement of additional weapons for the Philippine National Police, Aquino said he is relying on the former as regards to checking the pertinent data related to the transactions. Aquino added that Puno is his “eyes and ears” and that he is “knowledgeable” (about guns, perhaps). In 2011, then-House minority leader Edcel Lagman said Puno is part of Aquino’s circle of cronies (referred to as “kakampi, kaklase, at kabarilan”). Puno first gained notoriety shortly after the 2010 Manila hostage crisis where a number of Hong Kong nationals died. The fiasco revealed that Aquino effectively truncated the power of now-deceased Jesse Robredo as DILG when he gave Puno the power to supervise the PNP. Robredo belongs to the so-called Balay faction of Aquino allies while Puno is allied with the Samar group. Shortly after the hostage incident, retired Lingayen-Dagupan Archbishop Oscar Cruz listed Puno as among the regular recipients of jueteng payola. Despite the two issues, Aquino did not ask Puno to resign. Compared to his multi-awarded superior at the DILG, little is known about Puno. 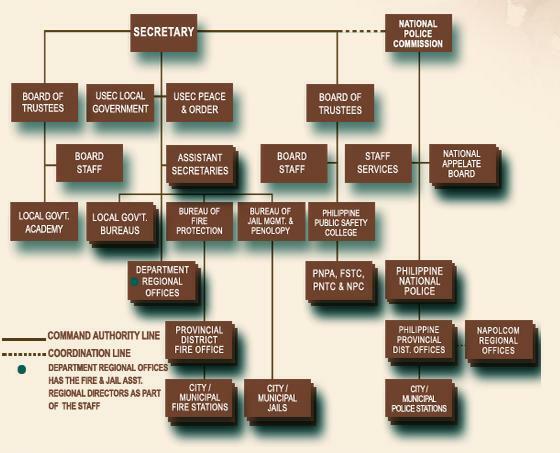 As undersecretary for peace and order, Puno also controls the Bureau of Fire Protection and the Bureau of Jail Management and Penology. However, the DILG website does not even have a bio brief of Puno. A Philippine Star news report published shortly after Puno’s appointment in July 2010 said he has been part of Aquino’s staff since he was a congressman and senator. “He served as Aquino’s consultant in various activities in Congress; in the Senate as officer for public order and safety, economic affairs and local governance, as well as liaison officer for the PNP and the Armed Forces,” the article added. Puno is again in hot water after it was revealed in an ABS-CBN report late last week that a group led by him went to Robredo’s condominium unit in Quezon City supposedly to safeguard (acting on Aquino’s orders) sensitive documents stored there just a day after the latter’s plane was reported missing. The controversy intensified after another report came out indicating that Robredo is in fact investigating Puno for his involvement in a deal to procure assault rifles for the Philippine National Police-Special Action Force. Why Aquino wants Puno to “secure” documents that includes those that may likely incriminate the latter has not been explained yet. In the past two years, Puno has proven himself to be an albatross in Aquino’s neck. However, the president seems to be very reluctant to part ways with him. He said in Vladivostok that Puno continues to enjoy his trust since he is deemed “innocent until proven guilty.” He went as far as suggesting that Puno may be given another cabinet position if HE wants it. The ties that bind Aquino and Puno must be definitely thicker than water. *Despite having a cozy working relationship with Puno, Aquino admitted two weeks after the 2010 Manila hostage fiasco that he has “differences” with Robredo and that this is why he appointed him in an “acting” capacity only. According to him, this will serve as an “evaluation period” for him to determine if he can get along with Robredo.